#7 looks like a lot of fun! 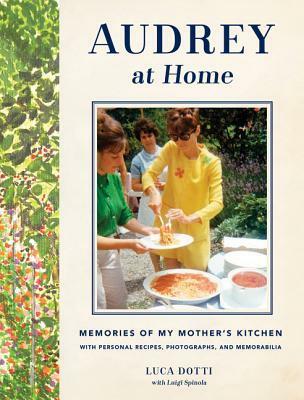 I loved the movie about Julie & Julia - does that count? I love the sound of the Audrey Hepburn one! I seem to be a rarity in not being into foodie books, but I did manage to scrape together a list of ten books that make me hungry! Great list! Like Jessica, I am not a big foodie book person, and so I went with books on my bookshelves that have a food item in the title. I just realized that my list took a bit of a twisted turn. Mine is sooo gory!!! LOL! I love trying new/pintrest inspired foods. I HATE cooking! These all sound so fun and original! 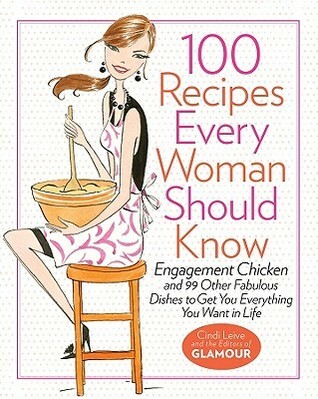 Since I try to link books I read to food / dishes / munches, I had some fun with this one! 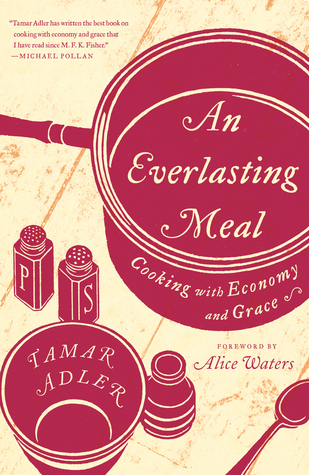 I have a deep need for that An Everlasting Meal book. It sounds right up my ally. Great list! Here's my blog post! 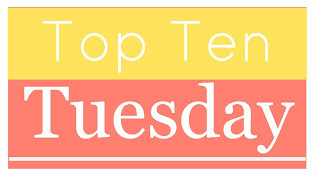 The link-up list isn't working for me, so I will just share my list of books for foodies here! This is a great list! I especially like the 100 list. I must look for it. Ha, I JUST finished listening to Food: A Love Story! Very funny. Thanks for the fun list, and for hosting! I laughed at the cover of that first one. 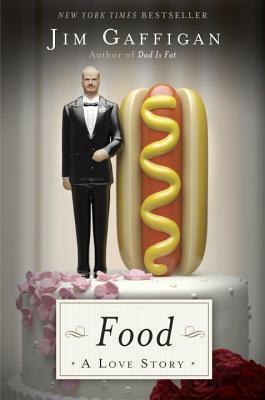 I love food and would totally put a hotdog on my wedding cake . . . I went with fiction only! 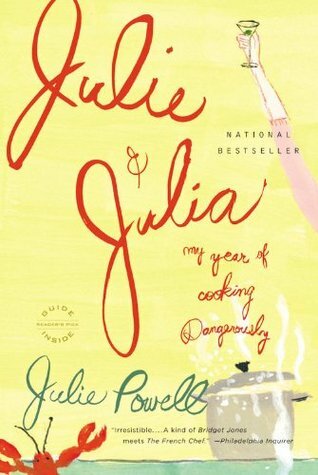 I loved Julie & Julia too! I love foodie books so I had too many choices. Ficton this time.